The Veganuary campaign is encouraging people to go vegan for the month of January. 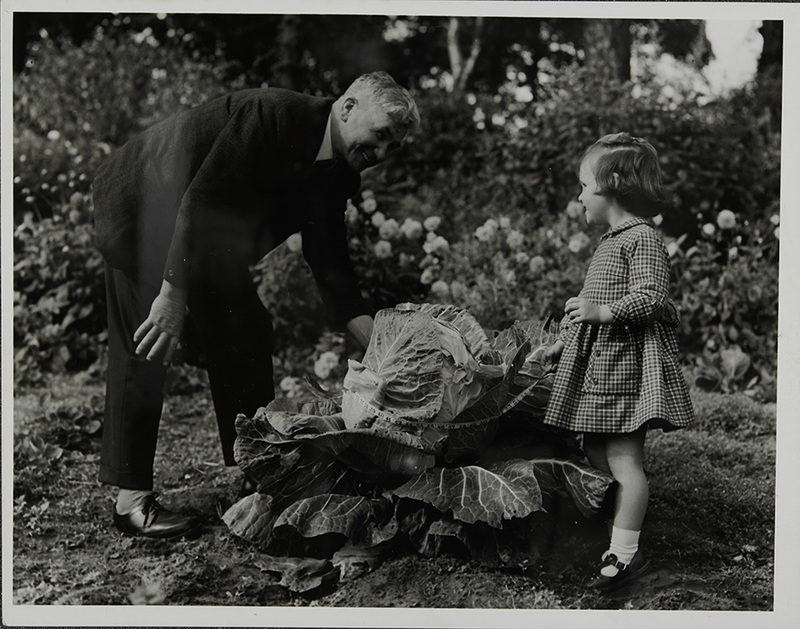 In recognition of this campaign the Main Library will have on display a number of texts relating to veganism and vegetarianism, including copies of items from Special Collections. Here we share some of those items and some of the texts and individuals who have promoted vegetable-based diets through history. The term ‘Vegan’ was coined by Donald Watson and the Vegan Society in Britain was established in 1944. 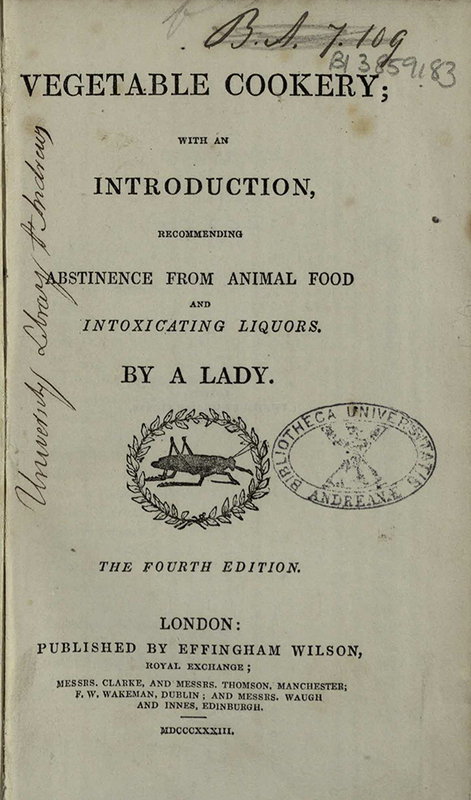 The history of vegetarianism in Britain though can be traced back further through some of the items in the Library’s Special Collections. Dr George Cheyne (1671/2-1743), born in Aberdeen, studied medicine in Edinburgh and worked as a tutor before finding employment as a physician. He would later establish a medical practice in Bath and become a well-known figure among the upper classes in the city. 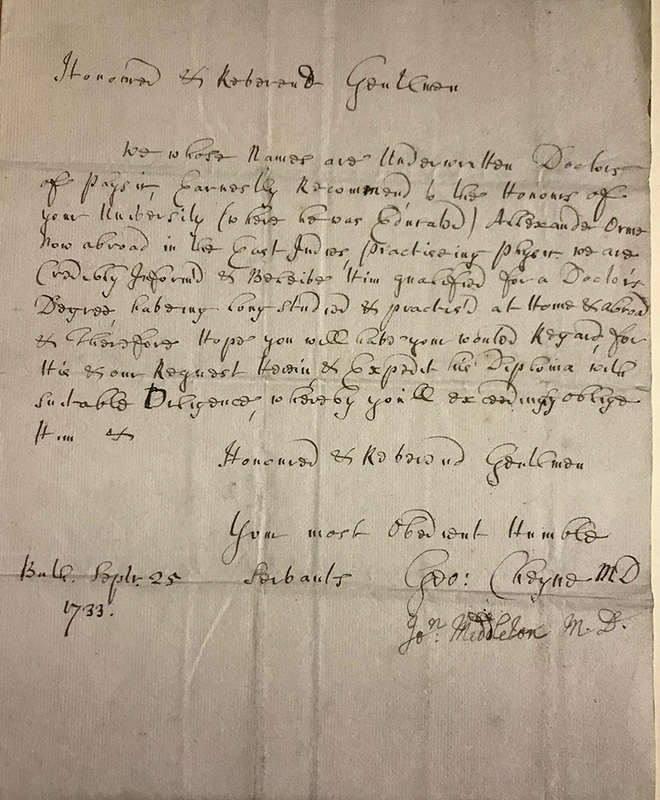 In fact, he stood as referee for a fellow doctor (Dr Orme) wishing to secure an MD from St Andrews in 1733. 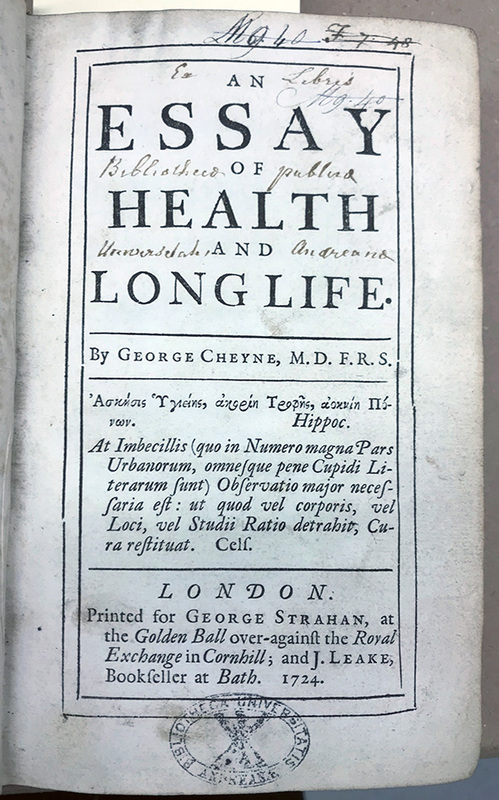 Cheyne published works on a number of topics including philosophy and on matters of health. 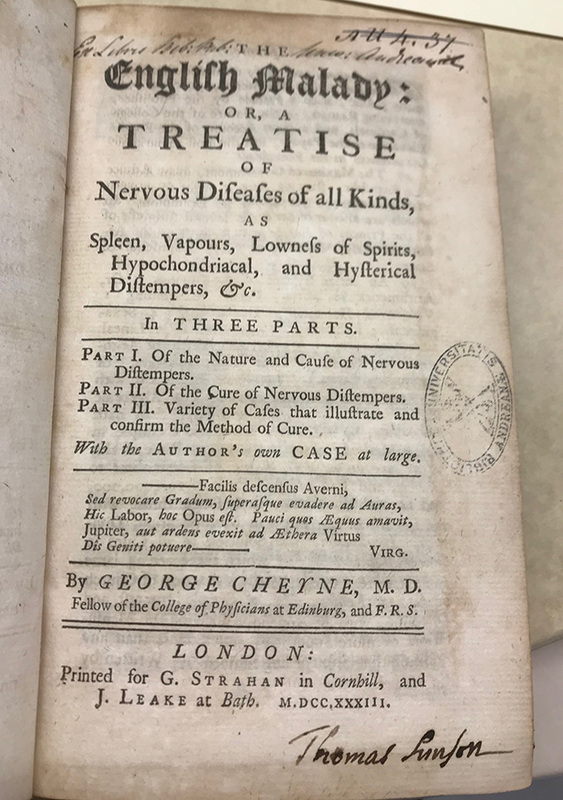 His early works, An Essay of Health and Long Life (1724) and English Malady (1733), advocate for a reduction in meat consumption. His own health had suffered due to his obesity and it was after experimentation with his diet that he came to his conclusion that a meatless diet was best. It was in his work, Essay on Regimen (1740) that he made the strongest claims against eating meat on moral grounds. 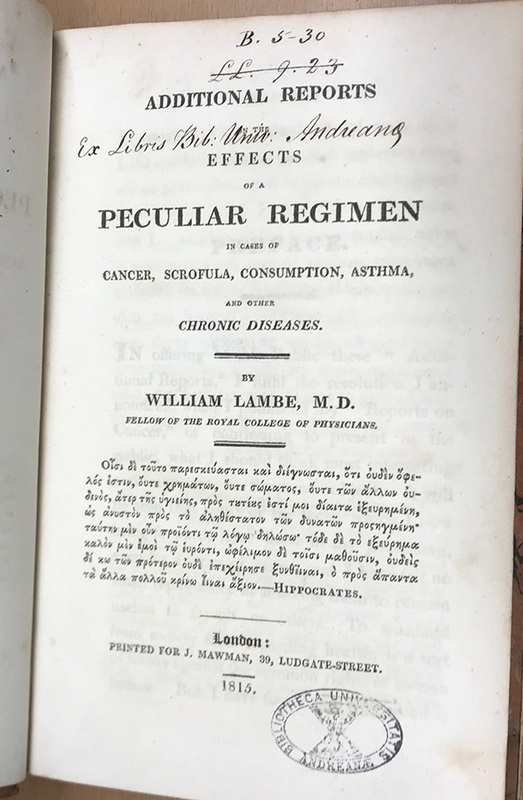 Lambe was a contemporary of the poet Percy Bysshe Shelley who, perhaps influenced by Lambe, wrote A Vindication of Natural Diet in 1813. Lambe’s influence is further demonstrated in the work of John Smith who, in 1845, dedicated his work Fruits and Farinacea, the proper food of man to William Lambe for having “manifested such talent, zeal, and perseverance in the defence of a Fruit and Farinaceous Diet” (farinaceous = starchy). 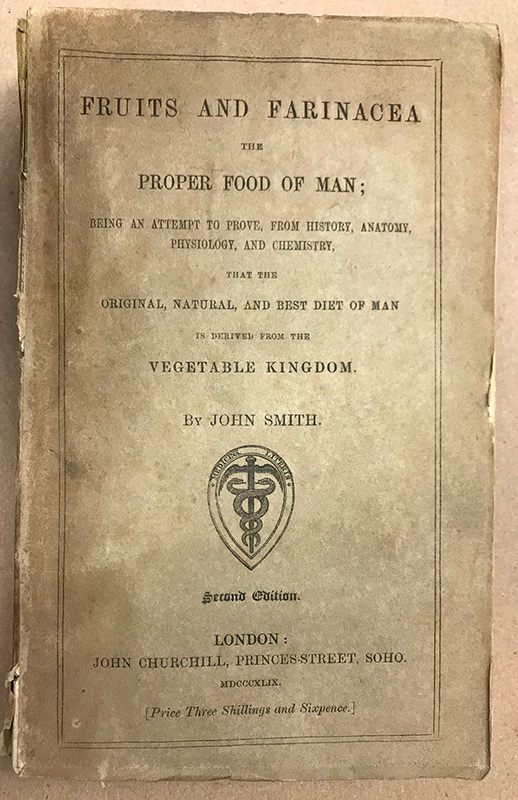 In the later edition (1849) held in Special Collections, John Smith dedicates his book to the President and members of the Vegetarian Society. The Vegetarian Society, established in 1847, is one of the oldest vegetarian societies in the world. It grew in the context of health reform, the temperance movement and the rise of philanthropy in the early 19th century. 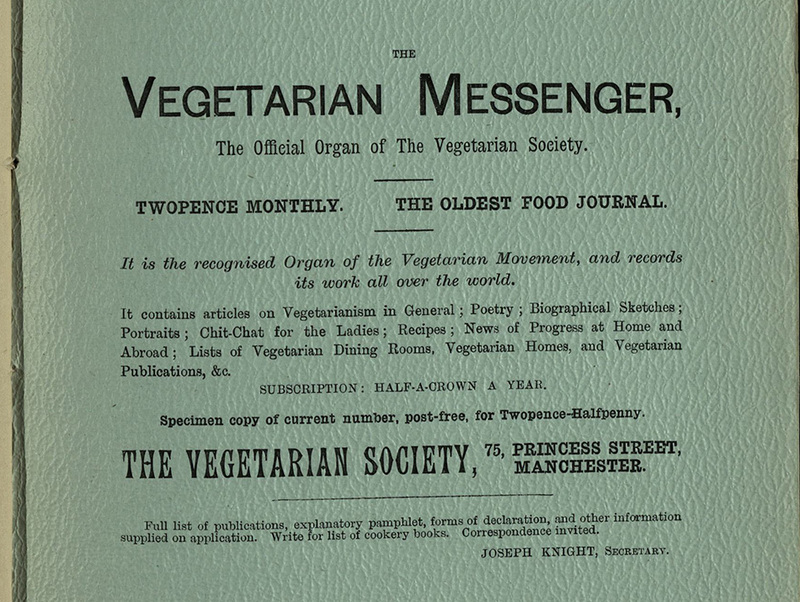 From 1849 the Society produced the publication The Vegetarian Messenger, published in Manchester, claiming to be the oldest food journal. An early vegetarian cookery book in our collections is associated with the key figures in the foundation and leadership of the Vegetarian Society. The Bible Christian Church was founded in 1809 by William Cowherd who encouraged abstinence from the ‘consumption of flesh’ and alcohol. Martha Brotherton, married to a minister in the Bible Christian Church Joseph Brotherton, wrote Vegetable Cookery, first published in 1812 (our copy is from 1833). Examples of the recipes in this text can be seen in a previous blog. There is a connection between the Vegetarian Society and St Andrews as they held a Summer School here in the summer of 1905. This was the fifth Summer School run by the Society and the first to be held in Scotland. The theme of the summer school was ‘Better Food – Kindlier Ways – Worthier Life’ and it was based in the student residence University Hall. The newspaper report of the time (St Andrews Citizen, 15 July 1905) recorded that about 50 residents were expected and the object of the school was not propaganda but rather fellowship, with a programme including lectures, discussions, physical exercise and cookery demonstrations by Flora Macdonald from Glasgow. Whether you choose to take part in Veganuary or not, we hope you get a chance to take a look at the display on level 2 of the Library and perhaps borrow a few of the books on offer.